The first two houses and four bungalows have been built on North West Leicestershire District Council-owned sites at Linford Crescent and Verdon Crescent in Coalville as part of a wider programme to deliver 24 homes across a number of underutilised sites. The council’s contractor, Robert Woodhead Ltd, has built the new homes which tenants are now moving into. All of the homes have been made available to residents on the council’s housing waiting list at an affordable rental cost. A further 11 new homes will be handed over to the council in June at Linford Crescent. Of the first three tenants to move in, two have been waiting for a new home that can cater for their medical needs and another is moving from a larger two-bedroom council home, making it available for another family to move into. The new homes have been built on the sites of disused garages and an empty block of flats while another similar site was used to build a brand new community centre which has been handed over to the Linford and Verdon Tenants and Residents Association. NWLDC’s building of council homes continues in earnest with a further seven homes in Staley Road and Smedley Avenue, Ashby, due for completion this summer. Planning permission was also granted in February for 24 council homes to be built on Ashby Road in Coalville at the site of the former police station. 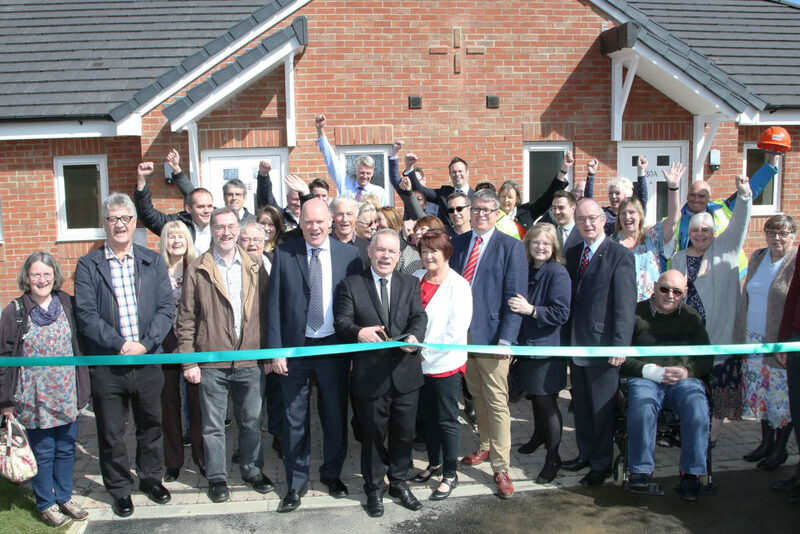 Councillor Roger Bayliss, Portfolio Holder for Housing at North West Leicestershire District Council, said: “This is a real landmark moment for the council as we increase our housing stock and provide much needed affordable homes for people in the district. Michael Edwards has moved into a one-bedroom bungalow with his wife Susan. He said: “This is going to make such a huge difference to us – we needed to find somewhere that meets our needs and was all on one floor. Angela Bancroft is a tenant with health requirements that also made her a perfect fit for one of the new bungalows. She said: “This is going make such a difference to me and my health. I never dreamt in a million years that I’d be given this chance – it is a lifeline for me and I’m so grateful. Procurement consortium, EEM Ltd, supported NWLDC in setting up the relationship with Robert Woodhead Ltd and building the partnership that is delivering this building programme across the district.